I am planning on purchasing the CR-1 in the near future. I need advice on what kind of antenna I need to receive all bands on this radio. 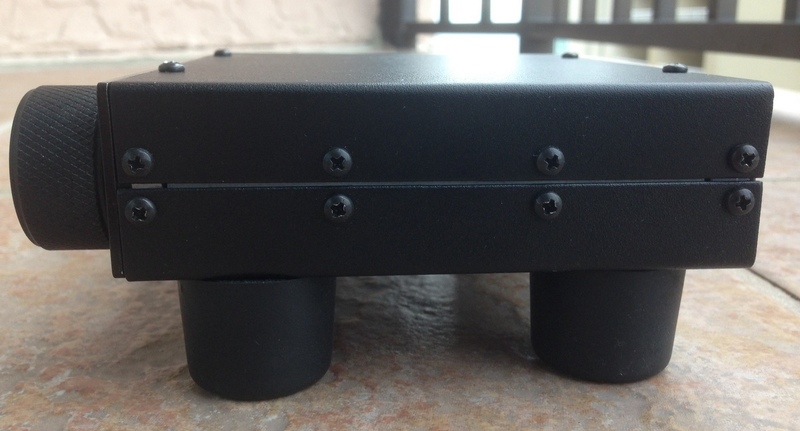 Will I need 2 antennas? Space is no problem. I don’t want to break the bank but I’m willing to pay a little more to get excellent coverage. Any suggestions would be appreciated.. I like the Par EF SWL and have used it quite a lot (it must be grounded). My main SWL antenna is a large skyloop antenna I built from wire, ladder line and coax. Universal also has books with plans for many types of wire antennas. While all of the assorted effects appear to be functional, the reception with a whip antenna is a trifle underwhelming. I can pick up two local AM stations but that’s about it. Might need a more elaborate antenna, but then my CCRadio with a similar antenna picks up at least 50 AM stations. David: your CommRadio is designed to be used with a proper wire external antenna. I have used a large telescopic whip in a pinch, but its front end is designed with an external antenna in mind. Your CCRadio, on the other hand, was designed to be used with a whip and internal ferrite bar for AM. String up even a simple long wire antenna and that CR-1 will sing. Lot of reviews of this receiver but NO ONE addresses memory. Does it have any? Does anyone have info on how many software updates have been issued since the release of the CR-1 last summer ? The latest updates for the CR-1 and also the CR-1aA are 9 months old, dated April 2014, available via links on the CommRadio website. For my CR-1 only several updates have been released, the latest updates DSP 1993 and PIC 1993 being the best as far as fixing problems. I have the feeling no more updates will be issued for the CR-1 but it’s possible there may be more for the CR-1A (but I wouldn’t hold my breath). I have continued to run A/B comparisons between my CR-1a and an NRD-515. Digital to Analog competition. My NRD-515 has been a station favorite for many years. I find the two radios are pretty much equal in terms of performance. Sensitivity between the two are even. The wide range of BW filter options on the CR-1a are a real plus. My 515 has the stock 2.4 mechanical and the 500 hz cw filter. The CR-1a with the portability, long battery life and internal speaker makes this one awesome receiver. I plan to use this radio when camping and recharging via a small solar panel should be a snap. A small QRP transmitter with T/R switching is the works. 225mhz just happens to be the Digital One Multiplex shame the radio does not decode DAB or Digital Radio Mondale. For me to add ISB , synchro narrower AM and SSB modes would be a good idea . However a signal meter in db and a memory of ca 4 GB for immediate recording could be for me something rather important ! or at least a slot for SD cards ..
i forgot to ask Whatis IQ?? Nice radio…but…thousands of amplifier chips available and this premium radio wheezes along at 0.8 watts output (probably at 10% THD too). What if I’d like to connect a decent mini speaker to it like the classic Radio Shack Minimus 7? I’d better also look for a separate amplifier! Agree with the “3/4 Blind” comment. Where’s the bass and treble (analog controls please) or a software controlled equalizer? All that processing power, but the audio section is half cooked. Hams and pirates that broadcast in enhanced SSB are the reason I wish more SW radios offered the choice of narrow or wider bandwidth filters for LSB/USB, 4 kHz, 6 kHz, 8 kHz, 10 kHz. When there are no adjacent stations one can open up the bandwidth for improved fidelity. I understand that communications grade receivers emphasize signal isolation and voice intelligibility over audio fidelity; I wonder if a SW radio that has wide IF bandwidth has a stigma as cheap consumer grade radio, thus consequently shunned by manufacturers, while a SW radio, ahem, HF receiver with narrow IF bandwidth is regarded as serious SWL hobbyist’s “gear” thus embraced by manufacturers and traditionalist SWLer. 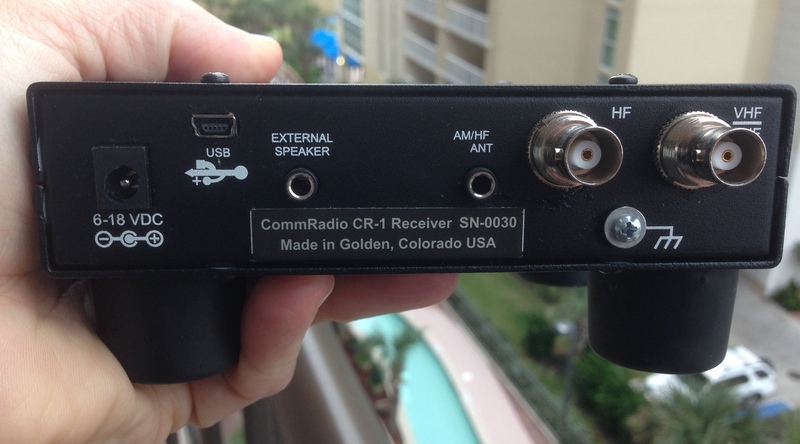 My point is we are well into the 21st century where SDR is available to the masses. 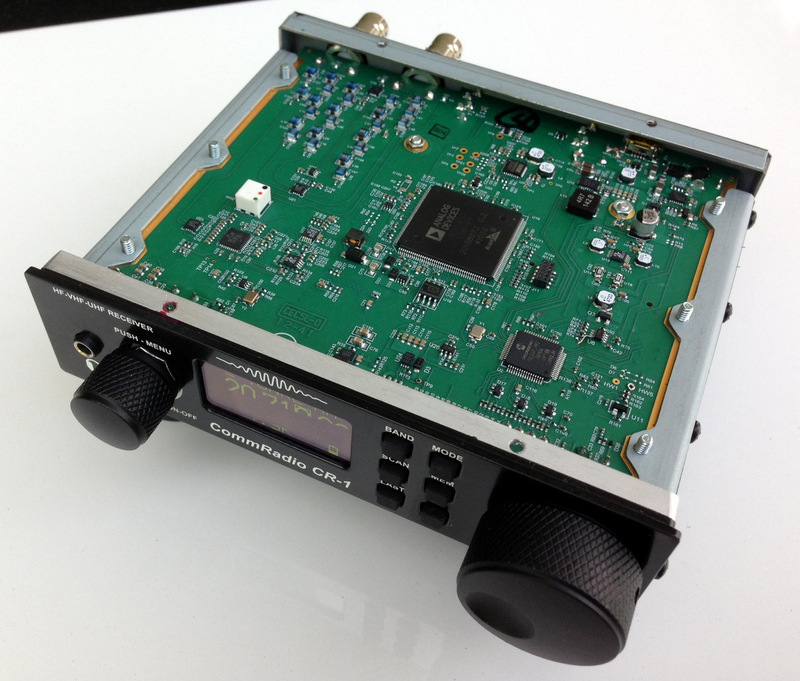 My question to the SWL and radio experts is: In an SDR is IF filter implementation still hardware driven? Or, are the filters realized through software? If the latter then it seems that adding more filters would be a matter of adding more lines of code at little additional cost. And as others have mentioned sideband selectable synchronous detection a la Sony ICF 2010 would be nice. While I’m on an audio rant how about bass and treble controls. The Windows Media Player has a built in 10-band graphic equalizer as well as a dozen preset EQ settings. Heck, my Samsung LCD TV has a graphic equalizer. Why not a luxury radio? I’d also like a line level audio output jack. The Eton E5 has a line level output. The OLED looks nice. Glad to see OLEDs showing up in more consumer grade products. When the CR1 first came out a few months ago I read of someone else commenting on the mediocre MW performance. I suspect that a high pass filter (MW attenuator) is bulit in to reduce the chance of overloading. This is a logical approach with a wide open front end like a budget SDR. You have to pay more for a SDR with appropriate bandpass filtering and a more crunch-proof front end, such as in my Perseus and (almost certainly) in your Excalibur also. I’m planning to install a 4 square antenna at my house this winter. I hope to give all of my radios a little more medium wave time since I should have an antenna that can null out unwanted signals. (Currently I use a horizontal delta loop–which is omni-directional.) I should have a better report on the CR-1’s MW performance then. 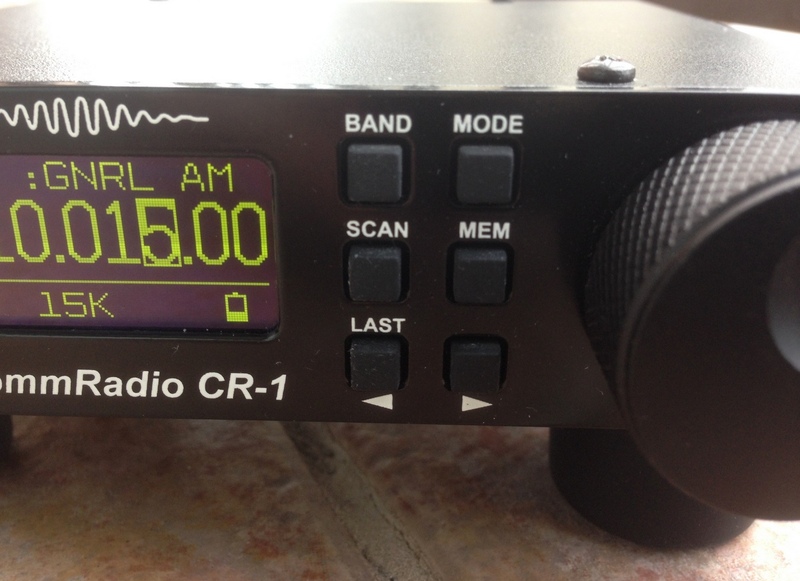 When I first saw that the CR1 had extended VHF/UHF coverage (at least compared to other HF receivers in the ~$500 price class) I was very interested. It could have been an alternative to an Icom 8500 at 1/3 the price. Alas, it seems that the VHF/UHF section is an afterthought on the CR1, only single conversion with poor sensitivity to boot. 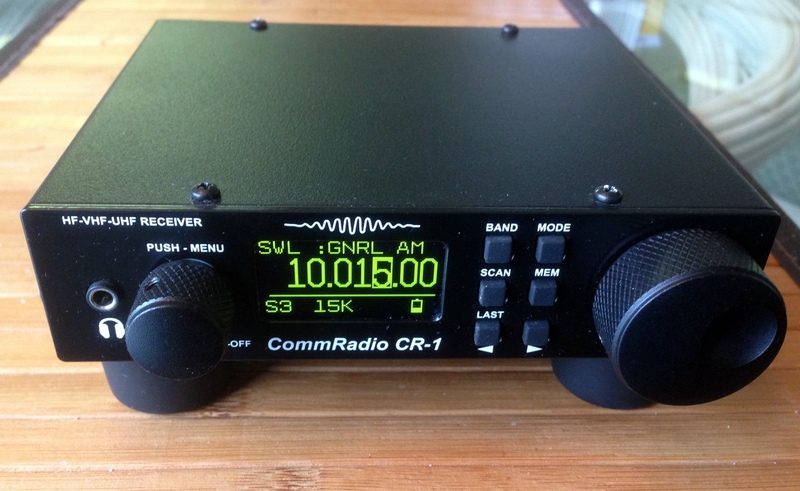 For those interested in expanding their hobby from SWL to VHF, I’m not sure that the CR1 is your radio. 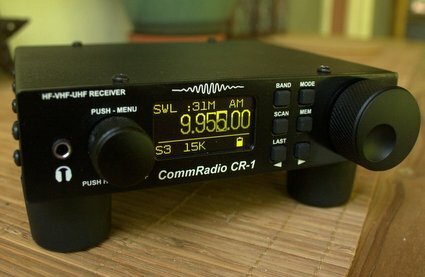 I was disappointed, and I wonder if those considering a CR1 primarily for desktop SWL would be better off with something like a Satellit 750 or 909X (and then use some of the $350 saved for a good antenna)? Or go pro and get an Icom r75? Except for novelty, portability and maybe quality, I’m still not sure how the CR1 stands out. 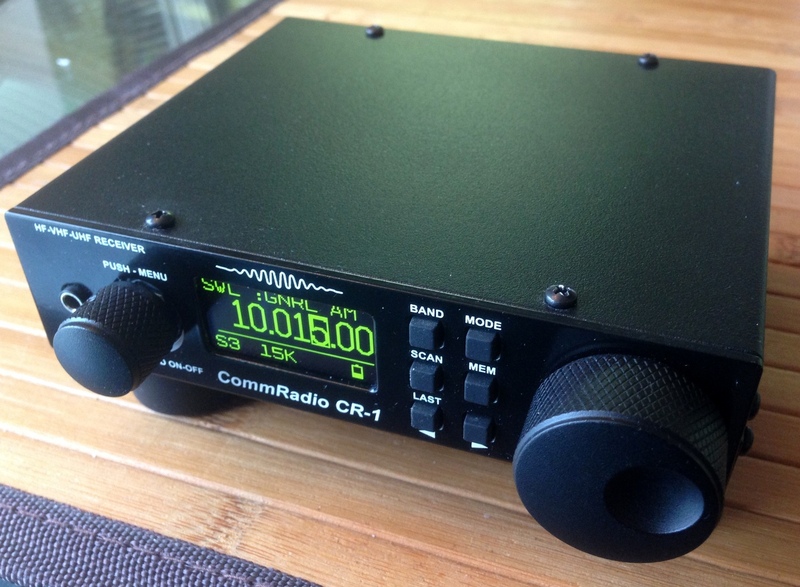 I think the CR-1 holds its own as a shortwave receiver–to me, I prefer it over other similar tabletops because the size/performance ratio is so great (and portability). 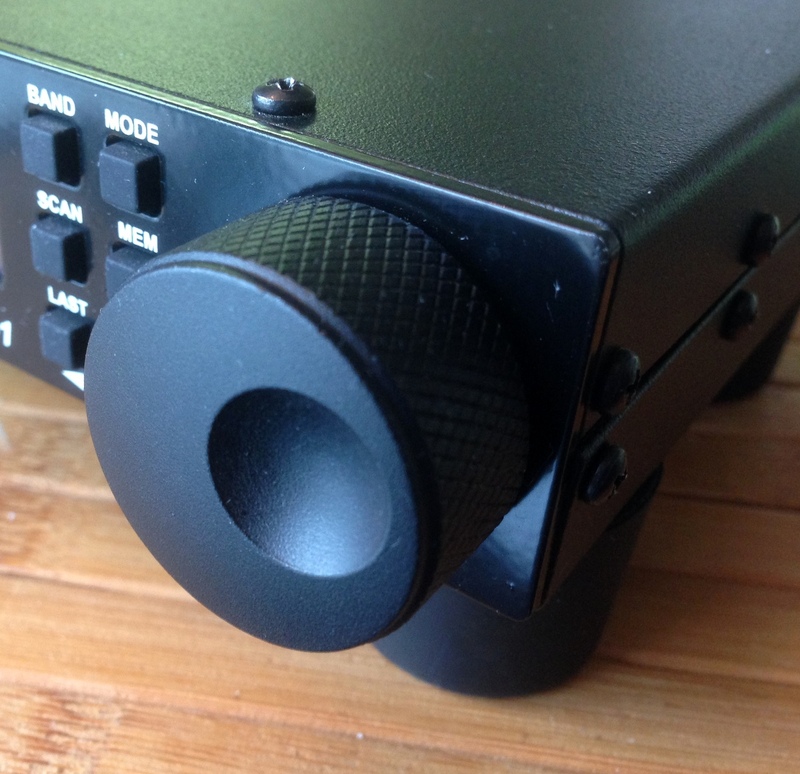 The VHF/UHF receive is more like a bonus, in my opinion and I really can’t comment on it since I just don’t spend a lot of time in that part of the spectrum. Other than a radio like the Icom 8500, or some of the AOR offerings, I’m not a big believer in all-in-one radios. I do think the CR-1 would give listeners a chance to venture up to those bands, though. I can easily pick out local 2M repeaters and other VHF activity on the CR-1 where I live. In crowded conditions, I assume performance would be more compromised since it’s single conversion. given its quite poor sensitivity at V/UHF I decided not to pull the trigger. Actually I’m covering the V/UHF portion with a simple RTL820 chipset USB dongle. it is more sensitive than the CR-1 in that range at the ridiculous cost of 20$. 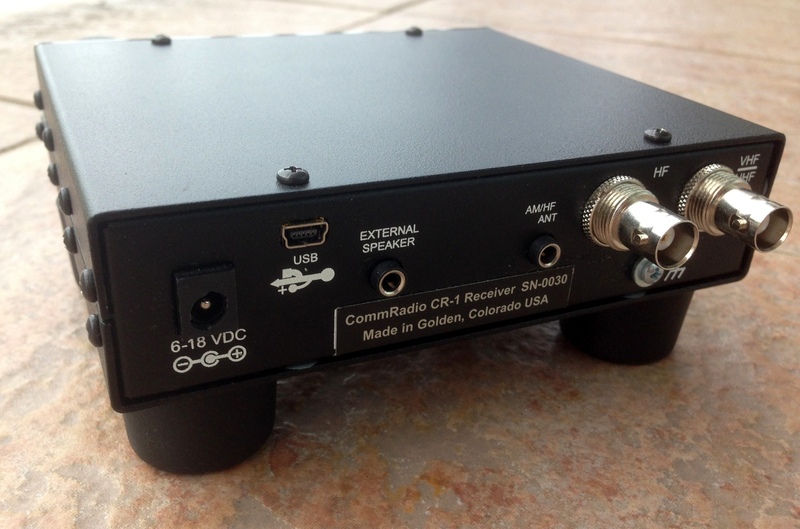 It seems indeed a little but really interesting receiver for travel and DXpeditions. I don’t know if it’s possible to add other filters, but a narrower CW filter (250 kHz or so) would be great. Also, in some areas crowded by FM stations, a narrower filter (about 110 kHz) would make this receiver excellent for FM DXing. for the DX’ing the MW (AM) band, how does it compare to, eg, the Sony icf-2010, Sony icf 7600gr, Sangean 909X or some of the older Zenith Transoceanics from the 1970’s? ………………Any feedback on these and is SDR the “wave of the future”? If the above said is software defined (sans a computer), then why are more receivers not being offered such as this? The development of powerful, battery conserving processors for mobile phones and tablets has enabled the CR1. This is something very recent. I seriously want one of these. Really fits the niche it helped define. Thanks for posting the review. I’ve had a CR-1 since mid-August and pretty much agree with your conclusions. The audio is one of the radio’s strongest points, and I find that the CR-1 has become my default radio for SW listening. This looks like a wonderful product. Now I know what I will get in December!!!! !